Landscape Photographer, Willie Holdman, is a native Utahn. He started experiencing the wonders of nature photography at an early age by assisting his father, Floyd, on photography assignments for National Geographic throughout the country. His Utah landscape photography experiences began when he managed to slip out and photograph the rural areas of Utah while at Brigham Young University, where he received his BFA degree with an emphasis in photography. A popular Utah landscape photographer, Willie resides at the base of majestic Mt. Timpanogos in Orem, Utah. Although he has photographed nature all over the world, it can't compare with the versatility and beauty of his home state, Utah. Whether he is high in an alpine meadow experiencing Mountain photography, or low in the red rock desert, concentrating on National Park photography, this is home. 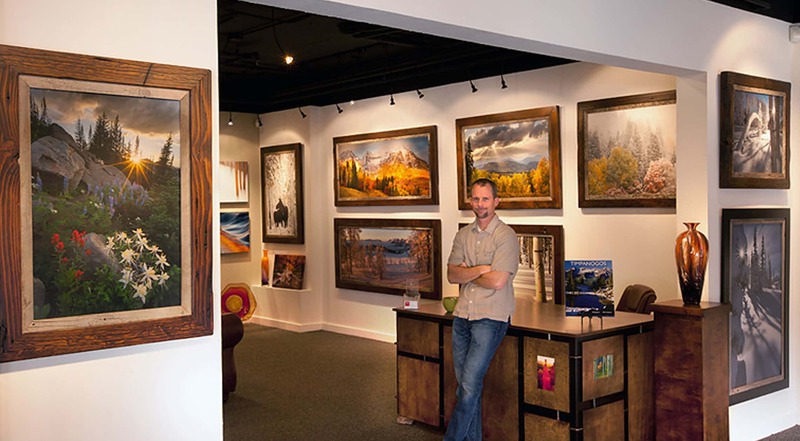 Our new gallery is now open on Main Street in Park City, Utah. It features a wide selection of the surronding area and all of Utah. The Gallery is usually open from 11am to 9pm daily or by appointment. Come and see Utah all framed up!